The new tax reform signed into law by President Tump made significant changes to the way businesses will depreciate their assets for qualified improvement property in an attempt to help simplify this tax rule. 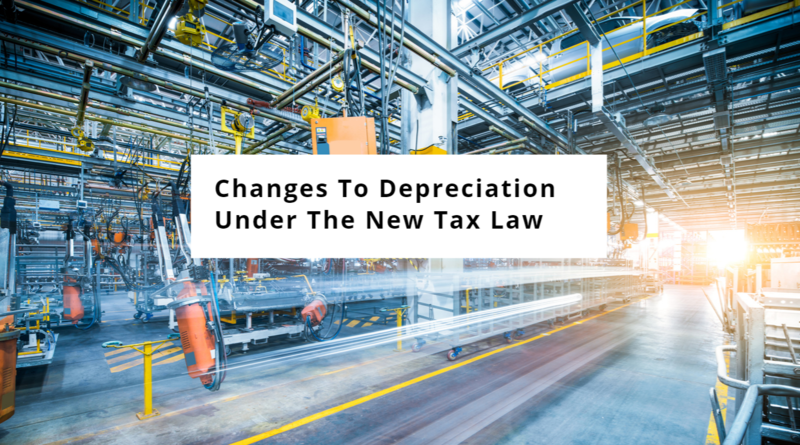 Here’s an overview the many changes to depreciation rules as a result of the Tax Cuts and Jobs Act. The Tax Cuts & Jobs Act (TCJA) adopted a modification to tax laws which now allows and permits businesses to immediately write off 100% of equipment purchase expenses. Although this provision is only temporary, this modification represents an unprecedented perk. Companies with qualifying equipment purchases will have an extraordinary new benefit from the TCJA’s modification in that these businesses have the option to actually deduct the complete cost of any purchases in their first year. While the country’s brand new income-tax protocol and practice are being enacted by the TCJA, the task of replacing the previous period’s framework is nothing short of cumbersome. Previously, tax framework was such that businesses were supposed to deduct associated costs over several years, according to standard depreciation schedules. Now, the TCJA is using a method which economists encouraged Republicans to test out and is otherwise known as “full expensing. This is because businesses would have an incentive to create more of the types of investments that can improve productivity and output. The 100% write-offs are far more transitory than other tax cuts in the TCJA as these cuts are an option for items acquired and used before 2023 and after Sept. 27, 2017. Beginning in 2023, the eligible deductions dollar amount declines each year until 2027, when normal depreciation schedules will start up again. 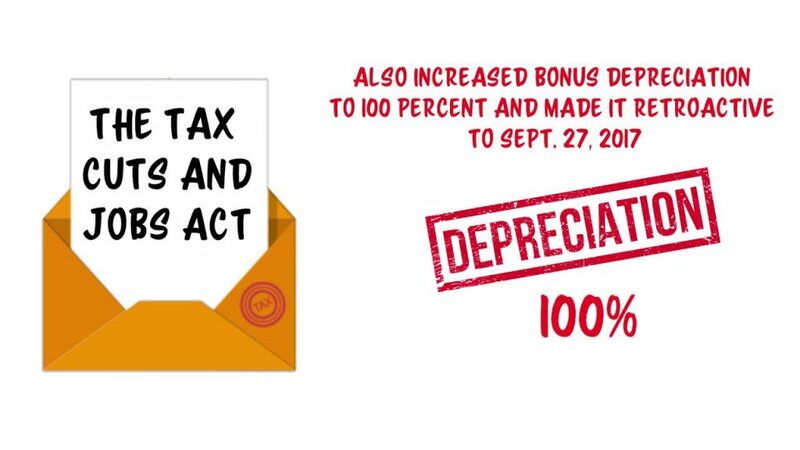 The 100% deductions are a form of an extension of current tax law “bonus depreciation” that has been used for a majority of the last 20 years. What’s new is that firms able to buy used equipment, not just items that are placed into service for the very first time. A majority of small companies have already been getting 100% deductions for items considered capital investments Section 179 of the tax code. The new tax code keeps and expands upon those rules. Real estate firms will not be subject to new laws and will be permitted to operate under the current law which includes depreciation deductions and the option to fully deduct interest costs, which has now been limited for most other firms by the TCJA. Restaurateurs and retailers and will lose some extremely generous tax write-offs as a result of an apparent congressional oversight which occurred as final touches were made on the TCJA, which was enacted in 2017. It remains uncertain how and if these businesses will receive a technical correction or any further guidance addressing the omission, which concerns bonus depreciation tax. Under modified tax code Section 168, the combination category was to be called one “qualified improvement property” and assigned a 15-year recovery period. made more than three years after the building was first placed in service. more than 50% of the square footage of the building is devoted to preparing or serving meals. All three original categories were already privy to a 15-year recovery periods before the TCJA; however, tax writers neglected to designate the new qualified improvement property category eligible for the 15-year life laws. The omission now means that qualified improvement property is subject to a default recovery period of 39 years, effective January 1, 2018. Essentially, the oversight made in Section 168 prevents qualified improvement property from benefiting from regulations made in Section 179. Such a caveat prevents property expenses from being eligible for one the TCJA’s largest business perks: Section 168(k) bonus depreciation. Because the 100 percent depreciation expensing stipulation only applies to that property with a recovery period of 20 years or less. The very second that the three improvement property types were merged, which was only previously allowed up to a 50 percent bonus depreciation, they became ineligible for any bonus depreciation. The legislative creating and implementing process seems to be more of an exaggerated and harmful example of a game of telephone. What a legislative member wants is translated to respective legislative staff, which is subsequently translated to legislative text which is hardly ever identical to the original legislator desired law. Without members of Congress reaching a bipartisan agreement and working together to squeeze the oversight correction into a continuing resolution, nothing will change. This is because the Senate must secure the votes of 60 Senators mandatory for passing another corrections bill. Many doubt that Democrats have any intention of working with, and not against, their Republican counterparts; this makes the continuing resolution an even more viable route. Members in both Congressional Chambers, along with their staff members, are aware of that Section 168 prevents qualified improvement property from Section 179’s beneficial regulations. Nonetheless, very few members are inclined to pass several correction bills- they are more inclined to include as many fixes as possible into a single comprehensive bill. So, while Congress recognizes the importance of corrections, it still has made no attempt to address the issues head-on, yet. A representative for the Senate Finance Committee has told several media members that correcting the omission was a priority but neglected to comment on inquiries concerning the use of a continuing resolution process to move a corrections package forward. Similarly, a spokesperson for the House Ways and Means Committee declined to comment on similar questions. The current TCJA has effectively abandoned restaurants by leaving them without, perhaps, their most important tax write-off. It’s a valid question to ask why restaurants are not satisfied with the TCJA. After all, “accelerated depreciation” was on the short list of tax issues was most important to the National Restaurant Association as they lobbied in last quarter of 2017. On the retail side, businesses are going head-to-head with a predicament further complicated by the retail industry’s inclination to function using fiscal-year schedules that end on either the last day of January or the last day of March. Countless businesses that have elected to make interior improvements which were supposed to be covered under the new “qualified improvement property” definition are finally realizing that they stand to receive a very surprisingly less-generous tax treatment of those expenses unless and until a correction is put into law, and even if a correction is enacted, the chances of the need to then amend filings is almost a certainty. Overall, however, businesses remain committed to their original 2018 improvements despite the oversight ‘s treatment.